If you’re searching “does [my company] drug test,” it’s not by accident. You’ve got something to hide. That goes for both current employees of a company, and prospective employees concerned with pre-employment drug screening—if the search gets entered, the writing’s on the wall. According to the Labor Department, nearly 60 percent of all American workers earn hourly wages. Given the tens of millions of people that represents, and the notoriety of so many companies that employ them, we decided to analyze Google search trends to determine which sets of current and prospective employees are most curious about drug testing. 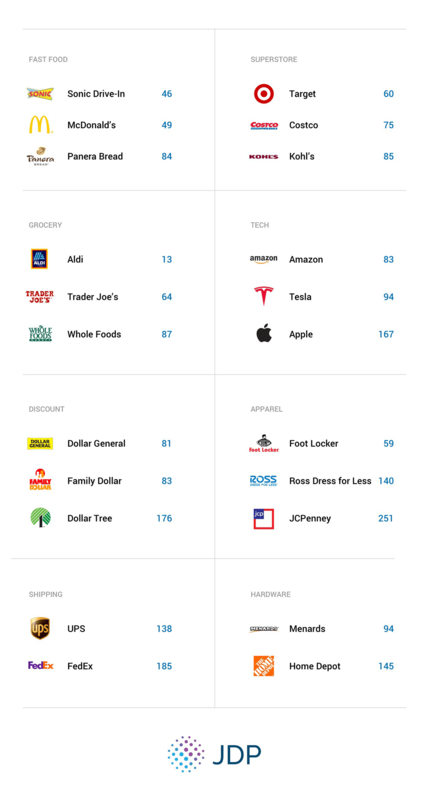 We analyzed search trends associated with more than 150 of America’s largest employers and best-known brands, to produce the list of 60 companies featured below. Starting from the top, this list represents the companies where current and prospective employees are most concerned about workplace drug tests. The metric “employees per search” means there’s at least one Google search per month happening per listed number of employees. For comparison, here’s a look at the companies with the most drug test searches in each of eight categories. In March 2019, we captured national Google search trends data related to queries about drug testing at specific companies. The exact search term used was: “does <company> drug test,” with specific examples including, “does Walmart drug test” and “does Whole Foods drug test.” The search volume captured represents a rolling 12-month average for each specific term. In order to make search volume comparisons fair from one company to the next, given the wide range in numbers of current and prospective employees, we established approximate sizes of US-based workforces for each company, using more than 70 online resources (most frequently company websites, shareholder reports, Wikipedia and Statista). With search volume and workforce size, we were able to establish the relative rates at which queries are made about each company’s drug test policy, with fewer “employees per search” reflecting a greater prevalence of concern.